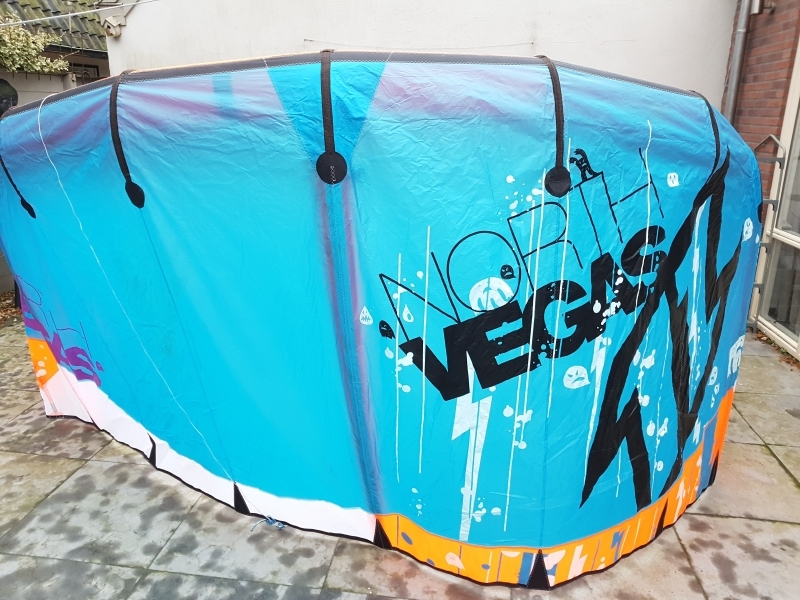 The benchmark was set many years ago by the Vegas, it is the ultimate freestyle weapon used by our Pro Team to have a resounding effect on the world stage. 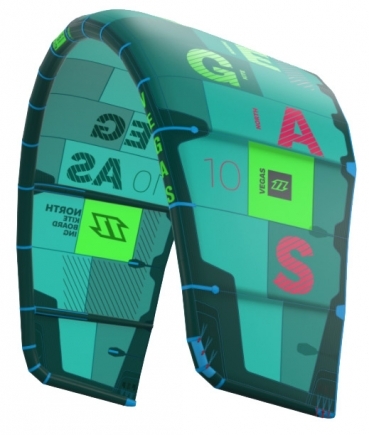 However, it doubles up as a great kite for ambitious riders too, boosting huge airs and providing great rider feedback! With it’s insane hangtime, it’s no wonder why Aaron Hadlow used the Vegas to become the King of The Air as well as take his assault on the World Tour! For 2016, the profiles have been optimized to offer a more consistent pop, in addition the tension in the canopy of the kite has been improved, which leads to a higher structural stiffness and smoother ride. 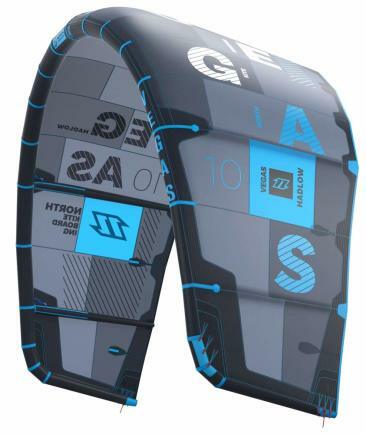 The new 3D-shaped canopy panels offer a cleaner airflow, whilst the new strut reinforcements increase the durability of the kite so it can handle the beatings dished out by our Pro Team! Anti-Snag is a new design for the leading edge tips, reducing the risk of lines tangling and the 2016 Vegas also benefits from our improved Lazy Pump inflation system for even better airflow. 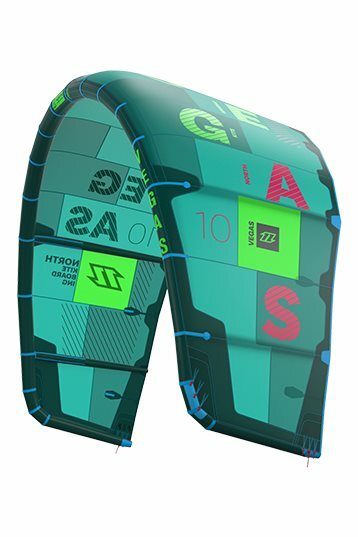 The completely new Wakestyle Bar is based on the Trust Bar but has been fully influenced by the North Kiteboarding Wakestyle/Freestyle Team. They wanted a shorter bar (42cm), a bigger chicken loop, 22m lines, single line depower with a rubber coating and the 5-line “V" split very low at 2m away from the bar. The delay in steering and heavier pressure on the Wakestyle Bar with the recommended medium depower setting allows you to concentrate more on doing your trick and less about what's happening with the kite or your input on the bar. The kite is able to move and produce power just as quickly as the stock Trust Bar, it just takes a little bit more input and effort on the bar for steering. 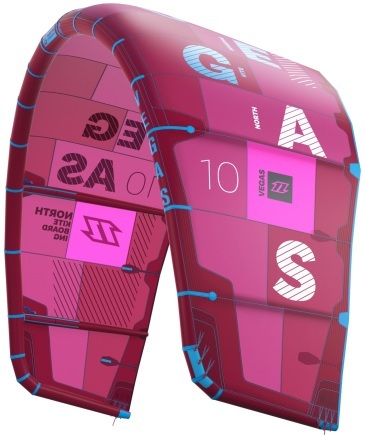 The lower split on the 5-line “V” noticeably changes the overall performance of the kite generating more power release delay, more slack, more pop and a delay in steering that makes doing doubles or holding grabs much easier and un-matched by the stock Trust Bar. Even the shape of the kite in the sky is more closed and has a more true C-kite shape and feel. In my opinion this is really good freestyle kite. Definitely helps you to make progress in freestyling. Pop is great. Safety feeling is always around, so you feel comfortable doing even most complex tricks. 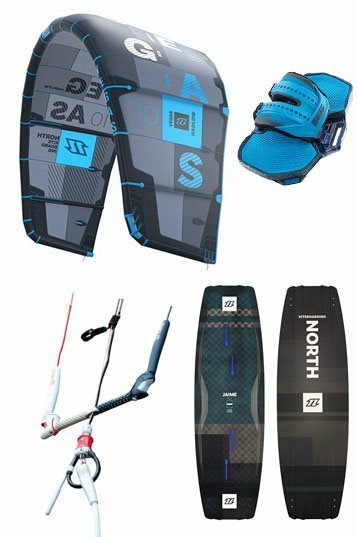 In my opinion these characteristics pay off the best, and these are most important for me when I look for a kite that suit my preference and safety. 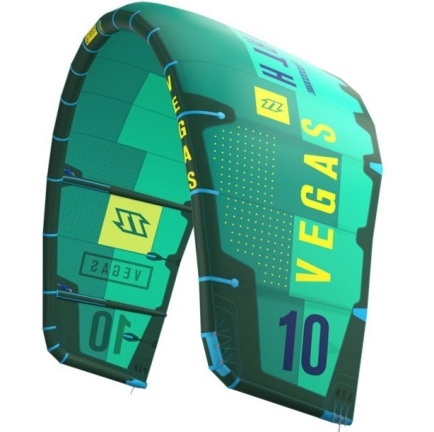 The Vegas is a freestyle kite, so the focus should be on optimizing freestyle performance. I think the Vegas definitely helps you progress in your freestyle moves. Because of its solid pop- even in harder wind or water conditions you get the sweet spot. The kite stability - which makes you feel safe to go for the trick. Kite feedback - you can feel where the kite is, where ever you are in your trick.